These are well made. Our bathroom has a southwest vibe, but I wanted something colorful for spring. I ordered the bathroom rug also, which gives a pop of color. Lend springtime beauty to the bathroom with this garden hand towel. 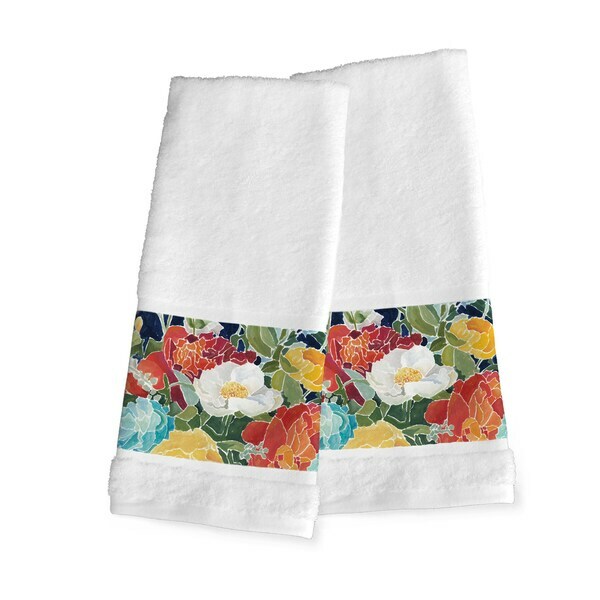 Featuring a vibrant patch of colorful wildflowers, this all-cotton towel adds a fun and welcoming touch to your space. Nice quality towels matching an entire bath ensemble. These are so pretty. I love the fabric. I am using them in my bathroom and it looks great. A good good purchase. "Is the background color white or cream?" The majority of the towel is white.